Matthew Evenden. 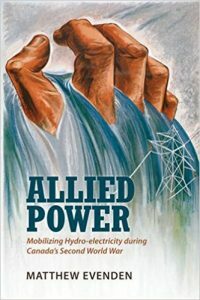 Allied Power: Mobilizing Hydro-electricity during Canada’s Second World War. Toronto: University of Toronto Press, 2015. Pp. 273. By the end of the Second World War, Canada had emerged as the world’s second-largest producer of hydro-electricity after the United States. The period 1939 to 1945 saw a forty per cent increase in Canadian hydro-electric generation, in large measure due to the unprecedented demands of war production in fields such as shipbuilding, military vehicles, chemicals, and munitions. This achievement was all the more impressive when one considers that in the late 1930s, while power demand was steadily increasing, electric utilities were nonetheless hesitant to commit to new generation projects due to their experience of the Great Depression. The task of persuading reluctant power company executives to dust off their shelved plans and get moving on new work fell to the newly-appointed federal power controller. Working under Minister of Munitions and Supply C.D. Howe, the power controller was granted sweeping authority over electricity generation and distribution—domains that were then, as now, under provincial jurisdiction. In Allied Power, Matthew Evenden, professor of geography at the University of British Columbia, uses the papers of the power controller as a unifying thread around which to build a meticulous, documents-based account of the development of hydro-electricity in Canada for war production. Given that electric power was the responsibility of the provinces, however, it is a bit of a misnomer to speak of “Canadian” hydro-electricity at all; accordingly, the bulk of the book takes the form of a collection of accounts of individual provinces. Moreover, given that not every province was home to important war industries, the author has chosen to provide a detailed examination of the four provinces that occupied the majority of the power controller’s attention. Quebec was then, as now, the nation’s hydro-electric colossus, and in Chapter 3, “C’est la Guerre,” we read of the critical strategic importance of Canadian aluminum for British and American aircraft production. The single largest hydro-electric development in Canada during the war years, the Shipshaw complex on the Saguenay River, was built exclusively to meet new demand at the vast Alcan aluminum facility at Arvida. Chapter 4, “Keepers of the Light,” describes how cautious Depression-era policies had left HEPCO, the Hydro-Electric Power Commission of Ontario, with shortfalls in 1939 that had to be covered by imports from Quebec. Although water diversions in the northwest and new generation at DeCew Falls and Barrett Chute were carried out during the war, it was not enough to cover enormous increases in mining and industrial demand, which had to be covered in part by power curtailments, restrictions, and load shuffling. Chapter 6, “The Prairie Ruhr”—a term coined in 1943 to describe the heavy industry popping up along the banks of the Bow River in Calgary—describes the development of a major ammonia plant and the harnessing of nearby hydroelectric potential to provide it with power. Complicating the picture is the fact that the ammonia was not needed after all, that the federal power controller happened to be one of the directors of the power company involved, and that the nearby hydroelectric potential was located in Banff National Park. Finally, Chapter 7, “Wringing the Last Kilowatt,” examines the situation in British Columbia, where the two largest power systems, West Kootenay Power and Light (WKPL) in the interior and BC Electric on the lower mainland, were separated by long distances and mountainous terrain and therefore unable to take advantage of interconnections either with each other or the rest of the country. When two new ammonia plants were built near Trail—which also ultimately proved unnecessary—this proved to be too much for WKPL, while unusually dry conditions forced BC Electric to ask the power controller for permission to run their sole thermal plant full-time. Interceding with the oil controller, an allotment of fuel oil, which was also in short supply, was approved for this plant—but only on condition that a dim-out programme be introduced for Vancouver and Victoria. In addition to the provincially-based accounts—an impressive achievement in their own right—the author has seen fit to provide us with quite a bit more. For example, Chapter 2, “Seeking Control,” explains the importance of power control in the context of the sudden upsurge in demand with the outbreak of war, as well as the burgeoning British requirement for Canadian aluminum. This chapter also includes a five-page biography of the federal power controller, Herbert J. Symington. Chapter 3 contains an environmental section, “Silencing the Saguenay,” which is well in keeping with the author’s academic specialisation as an environmental historian, and comes at a point in the narrative, after a lengthy account of the massive Shipshaw development, when many readers will have been wondering how the environment in the area was affected. Chapter 5 steps away from the topic of hydro-electric development to examine what is in many ways its obverse, “Wartime Conservation.” Richly illustrated and enlivened by extracts from letters, newspapers, and even the diaries of Prime Minister Mackenzie King, this is certainly one of the more engaging parts of the book. We are even exposed to a bit of Canadian labour history in Chapter 7, in connection with the construction of the dam site at the village of Brilliant, BC. The author describes a wildcat strike on the part of Doukhobor workers, situating the incident within the context of previous academic interpretations and a three-page overview of the Kootenay Valley Doukhobor community. An introduction (Chapter 1) and conclusion (Chapter 8) round out the text. The illustrations in this book deserve special mention. The maps, unlike so many appearing in academic history books, show relief, which is indispensable for understanding why water in a hydro-electric system is going to flow in a certain direction. Period advertisements, as well as well-chosen photographs of all sorts, are reproduced with excellent resolution, especially considering that they appear interspersed throughout the text, rather than in a special section of glossy paper in the middle of the book. Glossy paper there is, however, in a manner I have never seen before in a scholarly monograph: a single sheet of it is bound opposite the title page, giving us a colour reproduction of a postcard of the Shipshaw project. Even the over-the-top cover illustration, a wartime propaganda poster by the Montréal modernist artist Marian Dale Scott, is the subject of a one-and-a-half-page discussion examining the work in the broader context of Scott’s oeuvre and wartime imagery in general. The shortcomings of this book are few. Among minor quibbles, generation output figures are provided almost exclusively in horsepower, consistent with the author’s sources and the standard unit of measure of the time. Nowadays, however, it has been supplanted entirely by the megawatt, and I found myself constantly having to perform the conversion—revealing that, with the exception of the Shipshaw development, the projects of the period were generally very modest by today’s standards. A terminological slip occurs on page 46 where mention of “a 220,000 voltage transmission line” should be “a 220,000-volt transmission line,” or better yet, a “220-kilovolt” line. A far more substantive issue concerns the author’s choice to exclude non-hydro-electric sources of electricity—thermal generating stations burning either coal or fuel oil—from consideration here. He justifies this decision in the introduction by pointing out that hydro-electricity accounted for ninety-eight per cent of the nation’s power supply in 1939 and 1945, but with the enormous upsurge in thermal power development postwar, an examination of its place in the overall power picture in this earlier period would have been valuable. More importantly, since hydro and thermal were the only sources of large-scale generation then available, the author would have been able to provide a much more complete account of the mobilisation of power for war industries. This is particularly evident when looking at the problem of the geographic focus of the work, which intentionally omits discussion of Saskatchewan, Manitoba, and the Atlantic provinces. Evenden justifies this in part by pointing out that war industries in urban centres in New Brunswick and Nova Scotia were powered mainly by thermal systems, and so the massive upsurge in coal mining and shipbuilding in Nova Scotia, for example, receive no more than a passing allusion. Conversely, in the case of Manitoba, which had more hydro-electric capacity in 1939 than all the Atlantic provinces combined, the author justifies its exclusion on the basis of it having received no important war contracts. The prospective reader should be aware, then, that this study ignores war production when it was not powered by hydro-electricity and hydro-electricity when it did not power war production. A researcher is of course free to structure a study as he or she sees fit, and within the limits he has set for this project, Evenden has accomplished a remarkable amount of research and synthesis, which is clear from even a cursory glance at the sixteen-page bibliography. Moreover, by virtue of an excellent prose writing style, neither too pedantic nor too chatty for the material under discussion, the author has taken a subject that many, particularly in the humanities, may have viewed as dry and uninviting and created an engaging, first-class narrative. That being said, it cannot be denied that the book examines what is something of a niche subject, and those with an interest in purely military affairs should be advised that that is not what this book is about. 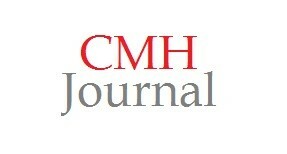 But for those with an interest in this particular branch of technology, the history of public works in Canada, the politics of industrial development, or the home front in general during the Second World War, Allied Power should prove to be a very important contribution of lasting value to the scholarly community and the general reader alike. A similar error, this time “a 120,000 voltage line,” appears later in the same sentence. It should be pointed out that Nova Scotia as a whole depended on hydro-electricity for 65 percent of its needs in 1934 and 47.8 percent in 1952; Arnold Roos, “Electricity,” in Building Canada, Norman R. Ball, ed. 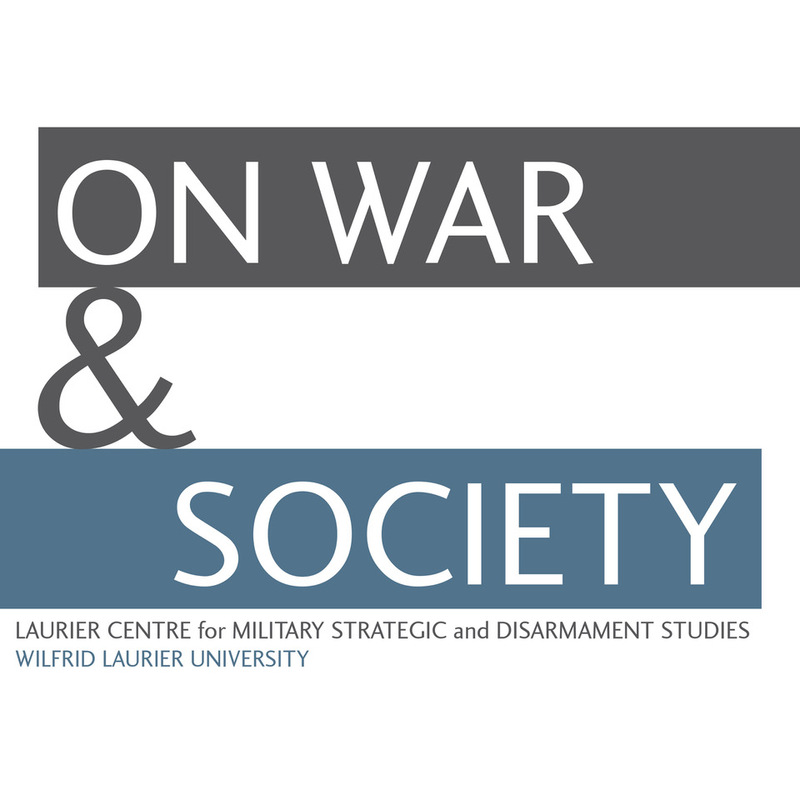 (Toronto: University of Toronto Press, 1988), 192 (figures for the war years are not given in this source). This is also the case with Saskatchewan, which furthermore, according to figure 2.3 (p. 32) and figure 8.2 (p. 190), had no hydro-electric power sources at all during this period.